FOUR! Yasir Shah to Temba Bavuma. Leg spinner length ball, off stump on the front foot sweeping, past deep square leg for 4 runs. Swept away into the gap and those are the winning runs for South Africa. That brings to an end what has been an action packed Test match. South Africa successfully navigate a tricky run chase thanks to fifties from Dean Elgar and Hashim Amla. 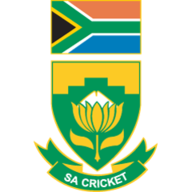 The match began with Dale Steyn becoming South Africa's leading Test match wicket taker before Olivier stole the show with his first and second five wicket hauls. Pakistan hit back with the ball in the first innings but then with bat in hand they collapsed yesterday evening. Losing nine wickets in a session is ultimately what has cost them here. Had things gone in their favour this morning they may still have been in with a chance of victory but it wasn't to be. We go to Newlands next for what should be another highly entertaining Test, until then it's goodbye from me. Yasir Shah to Temba Bavuma. Leg spinner back of a length, outside off stump on the back foot defending, to silly mid off for no runs, fielded by Shah. Yasir Shah to Temba Bavuma. Leg spinner length ball, off stump on the front foot defending, to short extra cover for no runs, fielded by Khan. Yasir Shah to Temba Bavuma. 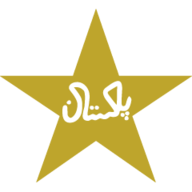 Leg spinner back of a length, outside off stump on the back foot driving, to point for no runs, fielded by Amir. Shaheen Afridi to Hashim Amla. Back of a length, outside off stump on the back foot working, hit pad to short leg for no runs, fielded by Afridi. Shaheen Afridi to Hashim Amla. Back of a length, outside off stump on the back foot, shoulders arms to wicketkeeper for no runs, fielded by Ahmed. Shaheen Afridi to Temba Bavuma. Length ball, off stump on the front foot working, to deep mid wicket for 3 runs, fielded by Ali. Shaheen Afridi to Temba Bavuma. Length ball, outside off stump on the front foot defending, thick edge to short leg for no runs, shy attempt by ul-Haq. Shaheen Afridi to Temba Bavuma. Short, outside off stump ducked, Left to wicketkeeper for no runs, fielded by Ahmed. FOUR! Shaheen Afridi to Temba Bavuma. Length ball, outside off stump on the front foot driving, well timed past deep point for 4 runs. Lovely drive from Bavuma, picking up where he left off in the first innings. Yasir Shah to Hashim Amla. Leg spinner half volley, off stump on the front foot pushing, to silly mid off for no runs, fielded by Shah. Yasir Shah to Hashim Amla. Leg spinner length ball, off stump on the front foot defending, to short extra cover for no runs, fielded by Azam. Yasir Shah to Hashim Amla. Leg spinner half volley, off stump on the front foot defending, to short extra cover for no runs, fielded by Azam. Yasir Shah to Hashim Amla. Leg spinner half volley, outside off stump on the front foot defending, to short extra cover for no runs, fielded by Azam. Yasir Shah to Hashim Amla. Leg spinner length ball, outside off stump on the front foot defending, to silly point for no runs, fielded by Shah. Yasir Shah to Temba Bavuma. Leg spinner length ball, middle stump on the front foot working, to square leg for 1 run, fielded by ul-Haq. Shaheen Afridi to Hashim Amla. Back of a length, down leg side on the back foot defending, to point for no runs, shy attempt by ul-Haq. Shaheen Afridi to Temba Bavuma. Length ball, down leg side on the front foot working, to mid on for 1 run, fielded by Amir. Shaheen Afridi to Hashim Amla. Back of a length, down leg side on the back foot working, to mid wicket for 1 run, fielded by Amir. Shaheen Afridi to Hashim Amla. Length ball, off stump on the front foot, shoulders arms to wicketkeeper for no runs, fielded by Ahmed. OUT! Caught. Shaheen Afridi to Faf du Plessis. Short, down leg side on the front foot pulling, top edge in the air uncontrolled to deep square leg, by Ali. Faf is out and both captains in this match have bagged a pair! It was short from Shaheen, he took on the pull but he didn't try and keep it down. There was a man back square and it was a comfortable catch in the end. Fair play to Shaheen for continuing to run in hard. South Africa making a meal of getting over the line here. Shaheen Afridi to Hashim Amla. Half volley, outside off stump on the front foot pushing, to cover for 1 run, fielded by Zaman. Yasir Shah to Faf du Plessis. Leg spinner length ball, outside off stump on the front foot driving, to short extra cover for no runs, fielded by Khan. Yasir Shah to Faf du Plessis. Leg spinner length ball, outside off stump on the front foot defending, to silly mid off for no runs, fielded by Shah. Yasir Shah to Faf du Plessis. Leg spinner length ball, off stump on the front foot defending, to short extra cover for no runs, fielded by Khan. Yasir Shah to Faf du Plessis. Leg spinner half volley, outside off stump on the front foot pushing, to mid off for no runs, fielded by Ali. OUT! Stumped. Yasir Shah to Theunis de Bruyn. Leg spinner length ball, outside off stump down the track driving, missed to short leg, by Ahmed. Well that isn't the best statement made by de Bruyn. He's down the track looking to smack the ball over the top but is nowhere near it and gets comprehensively stumped. Yasir celebrates his first wicket of the series. Shaheen Afridi to Hashim Amla. Length ball, to leg on the front foot defending, to silly mid off for no runs, fielded by Shah. Shaheen Afridi to Theunis de Bruyn. Back of a length, down leg side on the front foot pulling, to square leg for 1 run, fielded by Khan. Shaheen Afridi to Theunis de Bruyn. Back of a length, down leg side on the back foot working, to silly mid on for no runs, fielded by Afridi. Shaheen Afridi to Theunis de Bruyn. Short, down leg side swayed away, Left to wicketkeeper for no runs, fielded by Ahmed. Shaheen Afridi to Theunis de Bruyn. Short, down leg side ducked, Left to wicketkeeper for no runs, fielded by Ahmed. FOUR! Shaheen Afridi to Theunis de Bruyn. Length ball, outside off stump on the front foot driving, well timed past deep cover for 4 runs. Top shot, de Bruyn has come out to finish this game with a flourish. His place could be under threat if Philander comes back into this side so perhaps he is looking to make a statement. Yasir Shah to Hashim Amla. Leg spinner length ball, middle stump on the front foot defending, to short extra cover for no runs, fielded by Ali. Yasir Shah to Theunis de Bruyn. Leg spinner length ball, outside off stump on the back foot pushing, to mid on for 1 run, fielded by Zaman. FOUR! Yasir Shah to Theunis de Bruyn. Leg spinner full toss, middle stump down the track flick, well timed past long on for 4 runs. Gets there on the full and hits it powerfully into the gap on the legside, top shot. Yasir Shah to Hashim Amla. Leg spinner half volley, outside off stump on the front foot driving, to deep cover for 1 run, fielded by Ali. Yasir Shah to Hashim Amla. Leg spinner length ball, outside off stump on the back foot Steer, to point for no runs, fielded by Amir. Yasir Shah to Hashim Amla. Leg spinner length ball, off stump on the front foot defending, to silly mid off for no runs, fielded by Shah. Shaheen Afridi to Theunis de Bruyn. Length ball, to leg on the front foot driving, to extra cover for no runs, fielded by Shah. Shaheen Afridi to Hashim Amla. Back of a length, down leg side on the front foot pulling, in the air under control to deep square leg for 1 run, fielded by Khan. Shaheen Afridi to Hashim Amla. Short, down leg side swayed away, Left to wicketkeeper for no runs, fielded by Ahmed. FOUR! Shaheen Afridi to Hashim Amla. Short, down leg side on the back foot pulling, in the air under control past deep backward square leg for 4 runs, mis-fielded by Ali, mis-fielded by Khan. Oh dear, Hasan Ali should have stopped that really. Shaheen Afridi to Hashim Amla. Back of a length, down leg side on the back foot defending, to point for no runs, fielded by Azam. Shaheen Afridi to Hashim Amla. Short, down leg side ducked, Left to wicketkeeper for no runs, fielded by Ahmed. Yasir Shah to Theunis de Bruyn. Leg spinner back of a length, outside off stump on the back foot pushing, to cover for no runs, fielded by Ali. Yasir Shah to Theunis de Bruyn. Leg spinner back of a length, outside off stump down the track pushing, to mid on for no runs, fielded by Afridi. Yasir Shah to Theunis de Bruyn. Leg spinner half volley, off stump on the front foot driving, to silly mid off for no runs, fielded by Shah. Yasir Shah to Hashim Amla. Leg spinner length ball, outside off stump on the front foot pushing, to deep cover for 1 run, fielded by Ali. Yasir Shah to Hashim Amla. Leg spinner length ball, down leg side on the front foot sweeping, hit pad to short leg for no runs, fielded by Shafiq. Yasir Shah to Hashim Amla. Leg spinner length ball, middle stump on the front foot defending, to silly point for no runs, fielded by Khan. Shan Masood to Theunis de Bruyn. Half volley, outside off stump on the front foot driving, well timed to silly mid on for no runs, run save by Khan. APPEAL! Shan Masood to Theunis de Bruyn. Seaming in length ball, outside off stump on the front foot working, hit pad to for no runs, appeal made for L.B.W. Going over the top. Shan Masood to Theunis de Bruyn. Length ball, outside off stump on the front foot, shoulders arms to wicketkeeper for no runs, fielded by Ahmed. OUT! Caught. Shan Masood to Dean Elgar. Length ball, outside off stump on the front foot driving, outside edge in the air uncontrolled to wicketkeeper, by Ahmed. That's out though, good take by Sarfraz behind the stumps. Bit of a lazy shot really, for once Elgar didn't move his feet very well and nicked a wide one. A first Test wicket for Shan Masood. FOUR! Shan Masood to Dean Elgar. Half volley, middle stump on the front foot driving, well timed past long off for 4 runs. Crunched back down the ground and that's 50 for Dean Elgar. What a fantastic knock it's been too, he's turned the balance of the match in South Africa's favour. Shan Masood to Dean Elgar. Length ball, middle stump on the front foot defending, to silly mid on for no runs, fielded by Khan.